After sifting through hundreds of applications, and incredibly innovative companies- We’re ready to announce the 12 startups that will pitch onstage at the festival and vie for “Best Onstage Pitch”. 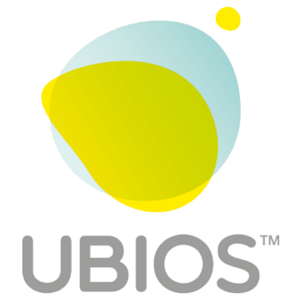 Ubios helps landlords prevent water damage, save energy, and save insurance through IoT & big data technology. Our Smart water valve, combined with our Smart Wall Unit detect when the tenants are away and automatically shuts the mains water to prevent 80% of water leaks, and lowers temperature to save 25% energy. The Ubios Smart Wall Unit easily and conveniently replaces conventional line-voltage thermostats or light switches, so no new wires or batteries are needed to operate. Ubios is the 1st solution to provide landlords with total peace of mind and control through an integrated web platform management tool to prevent and detect water leaks. By joining NewKnow’s networked-LMS, businesses can connect, collaborate and support each other in training the front-line employees to better serve the shared customers of both the retailer who operates brick & mortar stores, as well as the brands that sell through those stores. As the face of companies for their customers, NewKnow wants to connect the hourly, high-churn workforce through their own devices, and help companies train and communicate with their front-line staff more effectively. With customers entering the store more informed than ever, delivering exceptional customer experiences in-store must begin with well trained, knowledgable front-line staff, which has always been an expensive, inefficient challenge for businesses, until now. Training your staff should no longer be seen as a burdensome cost of doing business, but rather a measurable investment in improving your business. Delivering high-frequency, low-intensity learning year-round will ensure customers receive consistent brand messaging, accurate policy and sale promotions, as well as timely updates on the ever-increasing frequency of new product landing on store floors. And with NewKnow, for the first time, this investment in training delivers real-time visibility and accountability for the reception and comprehension of learning across an entire organization, as well as the business partners’ organizations in your network, empowering businesses to collect real-time feedback from the front-line and their customers who interact with that front-line at any point of sale in the network. 57% of home buyers consider home buying to be one of the most stressful activities they’ve ever done (All Canadians) Only 13% of home buyers believe their realtor gave them enough information to make a smart decision (All Canadians) Only 38% of home buyers believe that they are going to pay a fair price for a home they’re going to buy (Ontario and BC) Clearly, organized real estate is failing home buyers. As dire as these statistics sound, they are only symptoms of a bigger problem: there is a misalignment between the home buyer’s needs and the realtor’s needs. And, that misalignment leads to distrust. 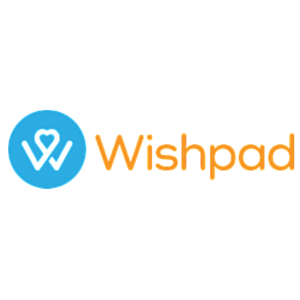 Wishpad is a data-driven media platform that helps people discover available homes for sale that reflect their unique passions, values and lifestyles whether they are looking for a home to buy now or dreaming about buying a home in the future. Our ability to recommend homes in places the user wouldn’t think to search or of a format the user wouldn’t have previously considered and explain why each is a good match for their unique values and priorities frees home buyers from their reliance on a realtor’s agenda enabling them to search for or browse homes on their own terms. A home is a reflection of your individuality and helping you find the right home means matching homes based on your values and priorities. That’s why Wishpad is assembling a massive set of lifestyle data – not just real estate data like our competitors. Zoom.ai has built an automated virtual assistant for the enterprise. Almost no one in business has executive admins (or secretaries) any more but everyone still has the need for one. Research has shown that up to 50% of our time during the business day is taken up by tasks that traditionally be handled by someone in that position. These tasks include meeting (re)scheduling, meeting preparedness, and travel logistics to meetings. 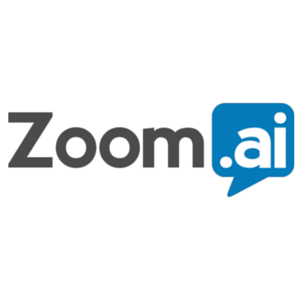 Zoom.ai has launched an automated assistant that ties into a user’s data (google, microsoft, salesforce), learns the user’s preferences (via our machine learning algorithm) and respond to our users through messengers such as Slack, SMS, email, and 7 others. The result is that our business users have more time to work on their higher-value tasks. So far, feedback has been very positive from our 200+ daily active users. We have also have been told that our system is better than x.ai. At FansUnite, we recreate the experience of betting on sports, without the monetary risk. I’ll stress early on that we are NOT a betting site. Over $1 trillion dollars will be bet on sports this year and FansUnite is giving the edge back to sports bettor. We are providing the tools and data to the individuals that fuel the industry, the sports bettor. We give our users a free virtual currency to place their wagers. Our platform then allows them to track their bets, breakdown their history, collaborate with the community and have access to thousands of other sports bettors that they can now track, follow and copy their predictions. Traditional sports handicapping websites offer predictions from one individual for enormous fees. FansUnite crowdsources predictions from thousands of sports bettors, with a fully verified and transparent history to give access to thousands of predictions, for a fraction of the cost. We have created a social layer to sports betting, have built software to track bets and have a proprietary algorithm that determines which community predictions have the highest probability of success. FansUnite is changing the online wagering and sports handicapping industry. The promise of collaboration and transparency are much needed in this industry and FansUnite is making sports bettors more profitable. The process of publishing content on the Web hasn’t changed a bit for the past 2 decades. 1) select template or style 2) place content in the boxes 3) good luck, and if it doesn’t work, start over. Good-looking Web pages are actually so complex/expensive to build, that only very few consumers are able to use them as TEMPORARY (but always RECURRING) communication purposes (like advertising, personalized messages, events, moments, promotions, etc). Only those with a lot of budget/resources are able to do so. It’s time for a change. With Tylio, it will become cheaper, easier and faster for businesses to exploit Web pages for those kinds of usages. Our platform provides a new way for consumers and businesses to communicate and express themselves with stunning one-pagers designed, built and published in seconds from the content they drop. In other words, there is a big gap between Twitter and WordPress, and we are going to fill it. Our mission is to build AI-powered technology to simplify and automate the process of publishing Web pages. We aim for the simplicity and speed of social network, with the power and beauty of HTML, at a fraction of legacy costs. Our vision is a world where contextualized Web publishing truly is accessible to all, capable of relaying and capturing human emotions through media-rich online experiences. 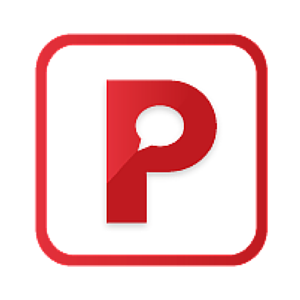 What it does: Parlay is an online classroom discussion platform that improves students’ critical thinking and communication skills by motivating and measuring engagement. How it engages: Parlay connects students across classrooms for global debate, uses gamification to elicit engagement and natural language processing to measure engagement in meaningful ways. Who uses it: Students participate, teachers facilitate. Development: The MVP of the platform will be complete in the first week of June. Target Market: Independent schools around the world. Traction: We have 7 of the top independent schools in the country already on board for our pilot program in September. We are looking for more. Partnerships: Turalt – www.turalt.com – to perform non-cognitive skills assessments through natural language processing. Cohort 21 – www.cohort21.com – to connect with innovative teachers at top independent schools from across Canada. Pedagogy: We have spent the past 9 months working with education professionals and researches to develop a unique discussion methodology that elicits critical thinking and improves communication. Accelerators: Parlay will be graduating from The Founder Institute at the end of the month. HelloMD is the world’s leading digital healthcare platform for medical cannabis patients. With user registrations growing at 28% CAGR, we are building the largest community of health & wellness cannabis consumers on the planet. Patients depend on HelloMD every day for real-time advice from doctors, product experts and cannabis retailers. Medical cannabis will be a 100B industry in the United States, and $500B worldwide. HelloMD will the trusted destination for patients worldwide as they explore the numerous health benefits this plant has to offer. ViewPoint is a citizen service platform that modernizes government agencies and brings transparency to their operations with a suite of products for online submission, payment, and routing of citizens’ permit and license requests. Your neurochemical balance is what drives you to feel happy or sad, feel pain or feel fine. Maintaining this balance is the driver of a large portion of the pharmaceutical industry. Five out of the ten top selling drugs on the market generate 45Bn$ in annual revenue and chronic pain management has a market size of 50Bn$. While big pharma companies provide a wide range of drugs that help with diseases, there is an untapped potential in one particular area: cannabinoids, the active molecules of cannabis. However, cannabis is a very crude and uncontrolled product, which is often smoked or extracted at home when being used. This is unsuitable for regular use and for use cases involving children. Prior to the 1970s, insulin for diabetes treatment suffered from similar pitfalls, relying on an expensive and crude source: pig pancreas extract. However, this was switched to isolating pure human insulin from genetically engineered bacteria, which is now the dominant method of production. 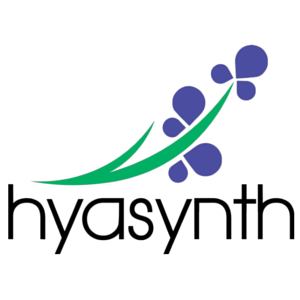 Hyasynth is creating that same revolution in neuropharmaceuticals. Instead of producing and using cannabis in its crude form, we remove the plant from the equation and change the supply chain to genetically engineered yeast. That way we can have a pure and inexpensive supply, and also design specific formulations out of the 100 different molecules that cannabis produces. Anecdotally speaking, smoking cannabis makes you feel hungry, happy and sleepy. Why bother with all that when you take a pill that makes you feel just happy? Future Now is a social platform aimed at connecting high school students with alumni from their school to foster community spirit in each school so that graduated students can help younger generations address their future challenges. Students and alumni can share their own experiences through our numerous communication features.